To Stand Up for Girls on the first International Day of the Girl, the Global Alliance for Development Foundation (GADeF) organized a stakeholders meeting in Asutifi, where the first LitWorld LitClub was formed, to discuss the status of girls' education in the region. Research conducted by the Directorate of Ghana Education Service in the District revealed that some students who registered to write 2012 examinations did not write their exams due to early pregnancy. 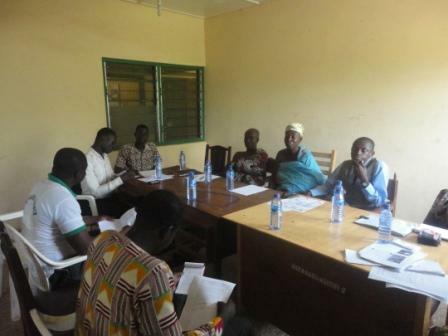 Among the 30 candidates in Brong Ahafo reported pregnant while writing the exams, 19 were from Asutifi district (out of 22 Districts). 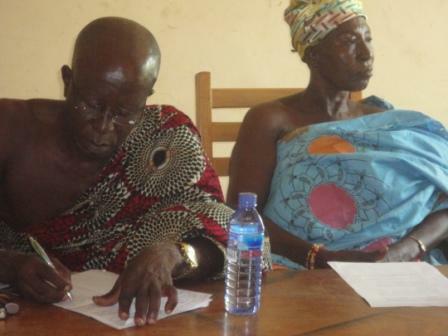 Madam Kyei Abrafi, the District Girl Child Education Officer (DGEO) at the Ghana Education Service reported that from 2009 to 2011, thirty girls left school due to pregnancy. In addition, the percentage of girls completing the Basic Education Certificate Examination (BECE) has dropped from 77.4 % in 2006 to 52% in 2012 (Ghana Education Service, Asutifi District, BECE Results Analysis, 1998-2012). This figure indicates how girls' education has been negatively affected by illegal mining activity, which has been more thoroughly traced since 2006. The Stand up for Girls stakeholders meeting has led to stakeholders pledge to support the education of girls in the area and to fight against teenage pregnancy and early marriage. Stakeholders present were the Ghana Education Service Girl Child Coordinator, the District Public Health Nurse, the Chairman of the District Parents Teachers Association (PTA), the Linguist of the Kenyasi 1 Traditional Authority, a queen mother of Kenyasi 2 Traditional Authority, and Headmasters of selected schools. The members of the GADeF team present were: Emmanuel Marfo (Programs Director), Elvis Agyei (Finance officer), Elvis Okofo Dartey (Environmental Officer), Edward Asare (IT and Web Assistant), and intern Lucy Adu Gyamfi.